When you oversee campus security, then you understand just how difficult it can be. Security at all levels is a complex and thorny issue. Defining where your school’s boundaries begin and end can be even more challenging. However, the more secure the campus is, the better that all of your stakeholders will feel – whether they are students, teachers, families, or administrators. When you oversee campus security, then you understand just how difficult it can be. Technology is so vital to our everyday lives that we often overlook how much of a role it plays in keeping all of us safe. Securing the perimeter of your campus involves technology, even if it is something you wouldn’t ordinarily think of as high-tech. You can use security cameras, fences, gate controls, emergency notification systems, and even advanced license plate recognition technology to help you spot trouble before it starts and prevent any incidents. Surveillance is also important, even if you take it for granted. There are other solutions that you can consider as well. Adding bollards and planters can help delay intruders and slow them down if they get past the initial layer of campus security measures mentioned above. Increasing interior and exterior lighting fixtures can also be immensely useful, especially if they are triggered by motion detection. Improving the security of your campus should always be on your mind. Progress starts by asking the right questions at the right time. Think about the areas where there tends to be a higher concentration of people at once – cafeterias, gymnasiums, and auditoriums on K-12 school grounds, and lecture halls, dormitories, and student unions on college campuses – and how you can make these locations all safer no matter how populated they are. After that, you should take the time to think about areas that are often overlooked in security situations, and therefore could present vulnerabilities. Service doors, loading docks, and outdoor athletic facilities need to be kept safe as well. This is where walls, terraces, and removable bollards make a difference, since the bollards can prevent vehicle access whenever necessary. Lastly, it may be time to rethink your current access control and visitor admission policies. Using an access control system designed for enterprises could be the answer that you’ve been looking for; this is software with little to no flexibility in it. 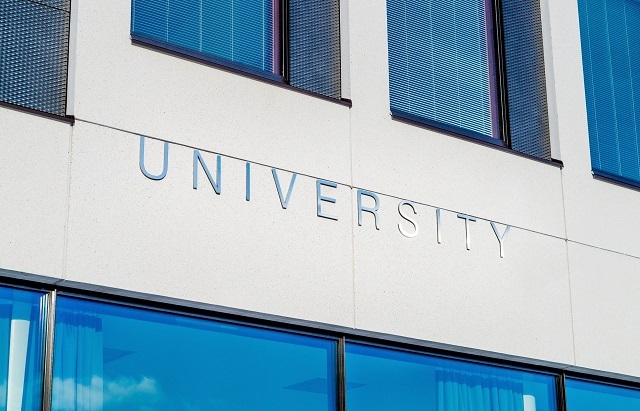 Creating alarm points that notify school officials about potential crisis situations and even minor infractions that go against campus rules can be a good way to start enhancing your overall security suite. This entry was posted on Tuesday, April 9th, 2019 at 11:00 am. Both comments and pings are currently closed.